At euroCARE IVF in North Cyprus, our mission is to help our patients become parents. We are caring and committed to helping make these families. Led by Dr. Armağan Ulubaş, euroCARE IVF embraces patients with expertise, high success rates, and affordable IVF treatment costs. The top fertility center in North Cyprus, euroCARE IVF, offers an renowned Egg Donor and IVF treatment program — meeting the highest standards set by the European Society of Human Reproduction and Embryology. Making the decision to use an egg donor is by no means easy — and we understand it is of vital importance that you are completely happy with the donor and treatment plan we have to offer. 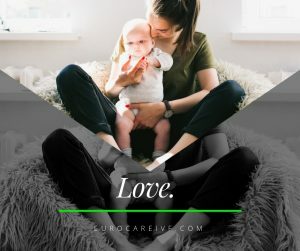 Fertility Testing: Anti Mullerian Hormone (AMH), Follicle Stimulating Hormone (FSH), Thyroid Stimulating Hormone (TSH), Estradiol (E2), Prolactin, and Transvaginal ultrasound scans. Health/Genetics: HIV (AIDS), HbsAg (Hebatitis B), Anti-HCV (Hepatitis C), VDRL (Syphilis), CMV IgG, Rubella, Thalassemia, Cystic Fibrosis, Phenylketonuria, Karyotyping, and Hemogram etc. How Do I Select an Egg Donor? Our egg donors in North Cyprus are generally between the ages of 20-28 — who are non-smokers and non-drinkers. Our donors generally give between 10-18 eggs and all eggs collected are exclusively yours, as we do not implement egg sharing. Selecting an egg donor for your IVF treatment in North Cyprus may seem overwhelming. The most important thing to remember is that there is no rush. Using your photograph and medical forms, our skilled team will organize your donor details. We have many diverse candidates available including: Asian, Spanish, African-American, Caucasian and more. Many of our donors are students here at one of the 5 universities. Can the donor ever trace their recipient? The simple answer is no. According to legislation regarding assisted reproduction, anonymity between the egg donor and the recipient is essential. This is why we are not permitted to show pictures of egg donors by law. It will not be possible for your donor to ever contact you or your child or for your child to be able to trace the donor later in life. Yes, you are welcome to bring your own egg donor to North Cyprus. Understandably, some patients prefer to organize their own egg donor and it is often a close friend or even family member. Your prospective donor must undergo the general fertility and health tests in order for the euroCARE IVF doctors to confirm that she is suitable to donate. Once confirmed, we then make sure your cycles are synchronized. Your donor will administer the stimulation injections at the same time you are using medication to prepare your womb lining. You will both arrive in North Cyprus together and when ready your donors eggs are collected; sperm is collected from your partner the same day. Following the ICSI procedure and embryo development, the embryos are transferred to you preferably at the blastocyst stage.